MOORE, Okla. -- People are finding signs of hope in the damage left behind from a series of strong storms and tornadoes that barreled through Oklahoma and Arkansas last night. 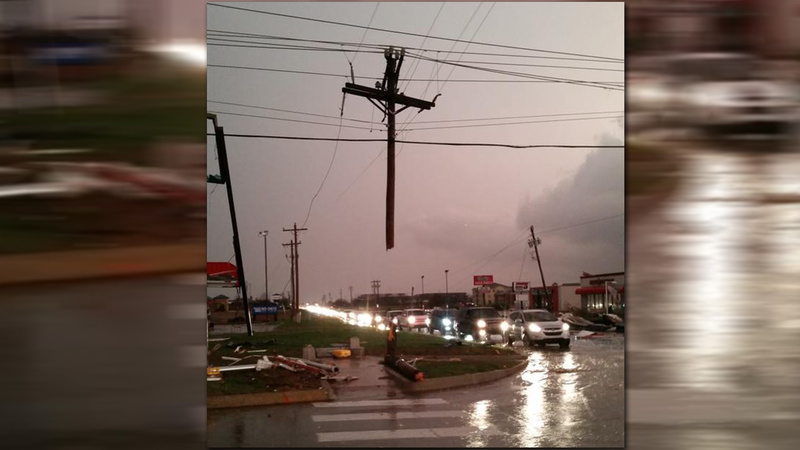 Chase Rhodes lives in Moore, Oklahoma and took this picture of a broken power pole on 119th St. and Western Ave. The power pole had formed a cross that was now suspended on the lines in the air. "Just found this after the tornado. God is with us," the high school student wrote on Twitter. The photo quickly went viral as thousands of others began to access the extent of the damage done to their neighborhoods. Click here to read the latest about the storms, which are blamed for at least one death and several injuries.